During these 4 years we brought to Montreal the best of Brazilian music found all around the planet, inviting many local Djs and Bands, as well some of the best Djs on the globe that collects and researches the groovy music from Brazil. Greg Caz, Aaron DRM, Captain Planet, Hp 76, Mundo Livre S/A and many others have already joined us on the mission to make you shake. To celebrate our 4th Bday we increase that list inviting the famous Joel Oliveira Stones, well known worldwide by his stunning Brazilian Record collection and his record shop in NY the Tropicalia in Furs, a spot for collectors and odd characters seeking rarities, psychedelic sounds and unparalleled chit chat. Also, we celebrate our 4th anniversary at our new home the DIVAN ORANGE, a place with no need of introduction. Joining amazing Dj parties as Mess Around, Balkan Gipsy Party and Canicule Tropicale we are happy to be part of their team specialized on offering you a great time. Expect the best of rare, famous and unknown Brazilian grooves that will make you shake all night long. Special decoration, Tupi Vicdeo Projection and records, records and more records. 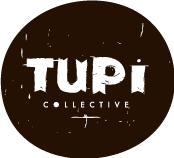 Put your dancing shoes and come to celebrate 4 years of Tupi!! Saturday – September 10th – Divan Orange – $10. New Summer Visual is out!! We have been working hard during 3 years and a half to bring to you the best of unknown Brazilian grooves. We just did a video that explain a bit our philosophy and inspiration. For this time we gonna make you taste some rare Brazilian Boogie | Disco | Funk in a 100% vinyl party, inviting right from Berlin Dj Hp76! For the last 20 years Hp76 has been researching and collecting Brazilian music from the 50’s till 80’s only in vinyl. In 2012 he curated a project called “Jazz Samba Hip Hop Bossa Nova” where he used to mix these music genres. In 2014 he founded a project called “Cooking Brazilian Beats” the only party in Berlin that features such sounds. He plays eclectic grooves from his own culture which these days are becoming more difficult to hear and sometimes unknown even from Brazilian people. He has been opening concerts for artists like Ed Motta, Karina Buhr, Fumaça Preta, Dj Mako, Gala Drop, Infinite Livez, Gordao Chefe etc. He played in “Fusion Festival” in 2012/2014, did a Portugal Tour in 2015 and a Brazilian Tour in 2016. As usual, Dj Mks and Dj Skambo will be side by side dropping their best groovy records that won’t let you stop to shake.